It’s a stereotype I’m forced to mollify constantly, and yet with every piece I sit down to write, I’m wracked with anxiety about the vast, nebulous mass of uncharted movie territory that trails behind me. With each new revelation – an open door into another world, another undiscovered region, another filmmaker’s unique perspective – six more doors seem to open, and time marches inexorably forward without a care for my growing stack of unwatched, plastic-wrapped DVDs. If the film critics you know seem uptight, it might be because they’re ensnared in an eternal existential crisis, racing against the clock to watch and mentally catalogue as many of the hundreds of thousands of movies available at their fingertips as humanly possible before they shuffle off to Buffalo. It can take a toll! The truth of the matter, and I think that any self-respecting film critic would agree, is this: the best that most of us can do is scratch the surface of what’s there to uncover. For most, the blind spots outweigh the areas of expertise, and the insecurity that comes with that fact never seems to diminish. To ease this ultimately insoluble problem, we’re blessed with specialists, ordained guardians of their designated districts tasked with scouring through muck, mire and masterpiece to lead us to those elusive cinematic pearls. There is tremendous trust involved in this enterprise, but when it comes to Cerise Howard’s CaSFFA curation, there is little doubt. I’ve admired Cerise’s whip-smart criticism for a long while now, and as a recent Perth expat I’ve watched longingly from afar as CaSFFA blossomed into the festival it is today. This year, I’ll be on the AFCA jury, sifting through nine of the best features the region has to offer and helping to deliver a (hopefully harmonious, but no promises) verdict. What am I looking for, not only as a juror, but as a critic and cinephile? When viewing a concentrated burst of cinema linked and limited by language or national origin, one tends to naturally gravitate towards the similarities, the ideas and concepts that bind a nation’s filmmakers to each other and their region. 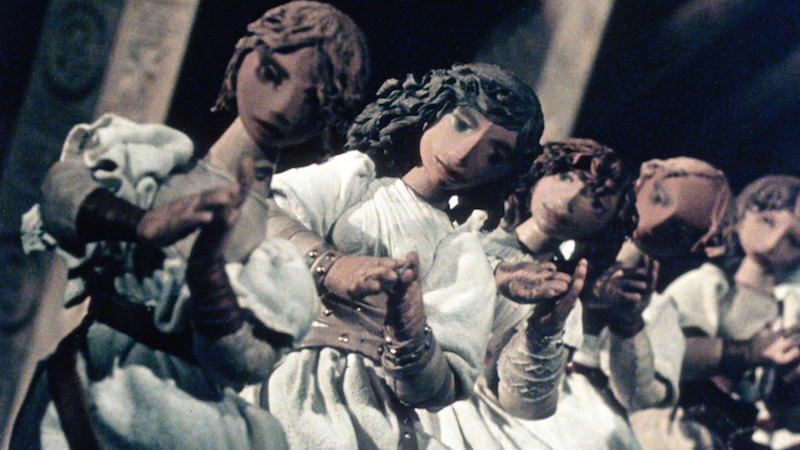 When I was first asked to write this post reflecting on my experiences with Czech and Slovak cinema, my mind raced immediately to the zany, makeshift special effects of Karel Zeman, to the marvelously grotesque animations of Jan Švankmajer, and to Jiří Trnka’s piquant film puppetry. Almost immediately, I was able to form a personal if somewhat misshapen idea of what Czech and Slovak cinema was: animated, otherworldly, uncanny, odd. A few days later I was reminded of Miloš Forman’s Loves of a Blonde (pictured up top), a film I haven’t seen since my teens, indolent and idle by comparison to the aforementioned. Other films that challenged my lazy conception flooded to mind: František Vláčil’s frenzied, mud-strewn mediaeval epic, Marketa Lazarová, and, of course, Věra Chytilová’s Daisies, a surge of psychedelic energy that established Chytilová as an aesthetic anti-materialist force to be reckoned with. Suddenly, the rudimentary definitions about Czech and Slovak cinema that I had hastily assembled seemed too clean, too apolitical, and overall, wildly insufficient. So homogeneity be damned. If last year’s CaSFFA screening of Czech omnibus film Pearls of the Deep taught us anything, it’s that Czech and Slovak cinema, in all of its myriad and molten forms, fits no such template. At CaSFFA this year, I’ll be looking for films that expand my definition of Czech and Slovak cinema even further. As a loud and proud proponent of non-fiction cinema, I’m glad to see two documentaries in the mix: FC Roma, charting an all-Romani football team as they brave adversity in and out of competition, and Koudelka Shooting Holy Land, about photographer Josef Koudelka’s artistic pilgrimage to the Israel-Palestine border. You can often tell a lot about a country through its romantic comedies, represented here by the frothy All or Nothing, with a female director and queer protagonist to boot. Conversely, there’s the bleak, Dreyer-esque I, Olga Hepnarova, which comes acclaimed and highly anticipated after a while on the international festival circuit, and A Prominent Patient, the big local hit, a period film steeped in Czechoslovakia’s hidden wartime history. Though it’s outside of my duties as a juror, I’ll also be diving into CaSFFA’s broad retrospective program. These days we’re privileged to have local film festivals that represent nearly every nation on earth touring year-round, but few, if any, put as much valuable emphasis on the past as CaSFFA. This year I’ll be discovering Hungary’s Zoltán Fábri and the Slovak-born Juraj Herz, plus catching up on Ján Kadár and Elmar Klos’s The Shop on Main Street, an Oscar winner in 1965 for Best Foreign Language Film. I’d be lying through my teeth if I told you I was uniquely qualified to serve on this jury – my knowledge of the region and its cinema is, compared to many others, merely cursory. But quality is quality, and though I’m glad to gleefully dispose of my preconceptions about Czech and Slovak cinema, I do expect, and I know, that over the next fortnight we’ll be seeing plenty of quality cinema. 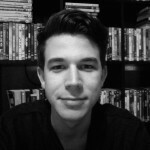 Jaymes Durante is a freelance film critic and arts writer currently based in Melbourne. He has written for several local and international publications, including 4:3, Sight & Sound, ArtsHub, The West Australian and Overland.